Crane Scale is very effective and efficient. This limits area coverage and available in verious model and capacity to suits your specification. 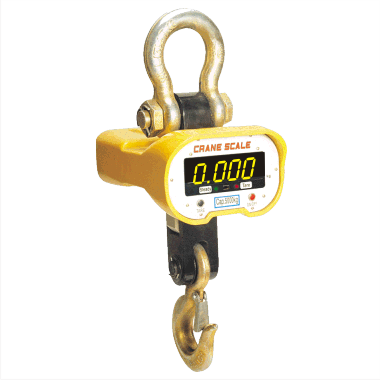 Ideal for industial weighing, Steel mills, furnace, overhead crane mounting, foundry and related weighing applications. Most Precise and Best Quality Components. Heavy Duty Hook For Industrial Use. Large 1.25" LED display for excellent visibility. Heat resistant shield upto 1600deg. Stand by mode For Long Time Backup. Infrared remote controller. Distance 20m. RS 232 Port For Printer Interfacing.